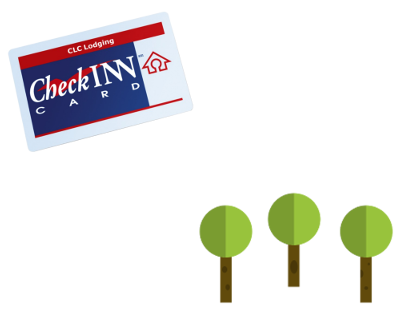 The CLC Lodging* CheckINN card, with Clean Advantage™ Lodging, is an eco-friendly program that automatically reduces 100% of your guest’s room CO2e emissions from their hotel stays. Once you join the Clean Advantage™ program, your property will support a variety of initiatives, across numerous projects, that sequester CO2e locally and around the world. By joining the Clean Advantage™ Lodging program, you too can promote your property to CLC Lodging’s thousands of clients and more than 13 million hotel nights annually booked. *As always, the CheckINN Card by CLC Lodging provides your property with simple guest check-in, electronic billing, secure transactions, and more. CLC offers a variety of electronic and manual processing options to meet your needs. For example, by connecting to CLC WEb CheckINN at your front desk, you get real-time traveler authorization and the speed of electronic billing. In addition, you can check on the status of your CLC billings online. CLC’s sophisticated systems simplify and streamline the entire process, making it easy for your hotel to accommodate CLC travelers. Clean Advantage™ Lodging is a turnkey sustainability program, brought to you by CLC Lodging, FLEETCOR, and GreenPrint. This program automatically calculates your occupant’s hotel stay CO2e emissions and reduces them through proportionate investments in projects that sequester CO2e from the atmosphere, providing your hotel the Clean Advantage™. Today’s consumers are increasingly demanding sustainable initiatives from the brands and companies they support. The result is that companies across the world are taking notice. Read below to see what some industry leaders are saying about sustainability and the benefits a sustainable program. Don’t forget to sign up for the Clean Advantage™ Lodging program to take advantage of the over 13 million room nights booked through CLC Lodging annually. We offset carbon dioxide and other greenhouse gas emissions by investing in a growing portfolio of reforestation, alternative energy, biomass, and other projects both locally and globally. By performing all the heavy lifting, the Clean Advantage™ Lodging program provides your hotel property a simple and powerful corporate sustainability offer for your corporate clients. Let us win you new business today! Support – Working out the exact amount of CO2e your customer’s hotel stays are producing can be a very complex process, but with the the Clean Advantage™ Lodging, we take care of this worry for you. Simplicity – Once you join the Clean Advantage™ Lodging program you only need to check your CLC Lodging account for updates and additional information. Scale – No customer is too big or small. We are always happy to select unique and local projects when available. Build Goodwill – Participating in the Clean Advantage™ Lodging program will allow you to market your sustainable efforts to both your customers and community. Annual Carbon Reduction E-Certificate – At your request we are happy to provide annual e-certificates that document your customer’s CO2e reductions. Expertise – GreenPrint and The Arbor Day Foundation are world leaders in bringing reduced emissions projects, certified by United Nations protocols and governing bodies such as the Verified Carbon Standard, to fleet’s such as yourself.  As a member of the APX Carbon Registry, GreenPrint has a publically visible listing of reduced emissions projects, the credits retired for their clients, and documentation relating to project length, type, auditing, and CO2e reduction. Interested in learning more about Clean Advantage™ Lodging projects?